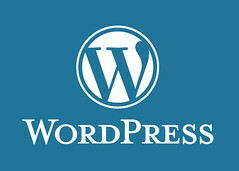 Add a WordPress image and you are guaranteed your adding several copies of that image. In fact every time you add images to your blog post in WordPress, by default it creates at least two extra copies of images. If you don’t want or if you want to stop WordPress creating extra set of images then follow this post. In this post I will show you how you can disable WordPress creating multiple copies of images every time you upload. This is annoying WordPress feature. I’m not sure why WordPress creates such images with different size every time you upload. It simply occupies lot of space on your hosting. Whenever you try to move your site, that time you will notice the size of wp-content folder, which is mostly occupied with extra set of images of original image. If you are not sure what I’m telling, then go to your wp-content/media uploads folder and check any of your folders. You see duplicate/thumbnail images. In most cases you can see 150 * 150, 300 *170 size images. These are the images which are created after uploading the latest image. These are automatically created images by WordPress. If you don’t want to create such extra images in WordPress, then here is a fix for the problem. Users don’t know we can disable this feature on WordPress itself without editing any WordPress files or without using any plugins. How to stop WordPress creating duplicate images when uploaded in settings media. and in Large size, set Max Width to 0 and Max Height to 0. After setting all those values to 0, and press the save button. Once you done this step, go and upload any image using WordPress Media up loader. You will not see any extra images other than the uploaded image.